For those of you have read my no frills impressions you know what to expect. No mess, no fuss. quick impressions without waxing lyrical or writing word salad. I have an Touch 4G, iphone 4, Touch 5G and Touch 6G-128GB. For these impressions I will use my Touch 5G and Touch 6G. I will be using them through Centrance Hifi-M8 Dac/Amp via Venturecraft 7N lightning cable and the ATH-ESW11 Ltd Ed headphones. Why, so I can get into more detail of whats under the hood. (Later I will try with DITA-The Truth in ears. Also Centrance Mini-M8). 5G vs 6G - Moar P`wer. My old ears share some sound impressions. 5G/6G---flacplayer app---Venturecraft 7N lightning cable switching ---to Hifi-M8-----ATH-ESW11. Its only used as transport, its all 0s and 1s etc etc, anyways-onto comparisons. 5G. Slightly darker, cloudy, harsh. 6G. Clearer, more spacious, more high extension. The Pixies - This monkeys gone to heaven. 5G. Lower tones, muddy lows. 5G. Softer, vocal more forward, more bass, warmer. 5G. Deep bass, boom, muddy. 6G. Deep clean separate bass. Morrissey - Little man, what now? 6G. Just more, background sounds very audible. DJ Champion - No heaven. 5G. Darker, dull, harsh highs. 5G. Seems slower, bass plods on, dull. 6G. Groovy, clarity, pace, lively. Lana Del Rey - Cruel world. 6G. Beautiful, crystal clear, spacious. The Doors - Strange days. 6G. Cleaner, clarity across the board. Hopefully the brief above paints a certain picture. I will try other variations soon. 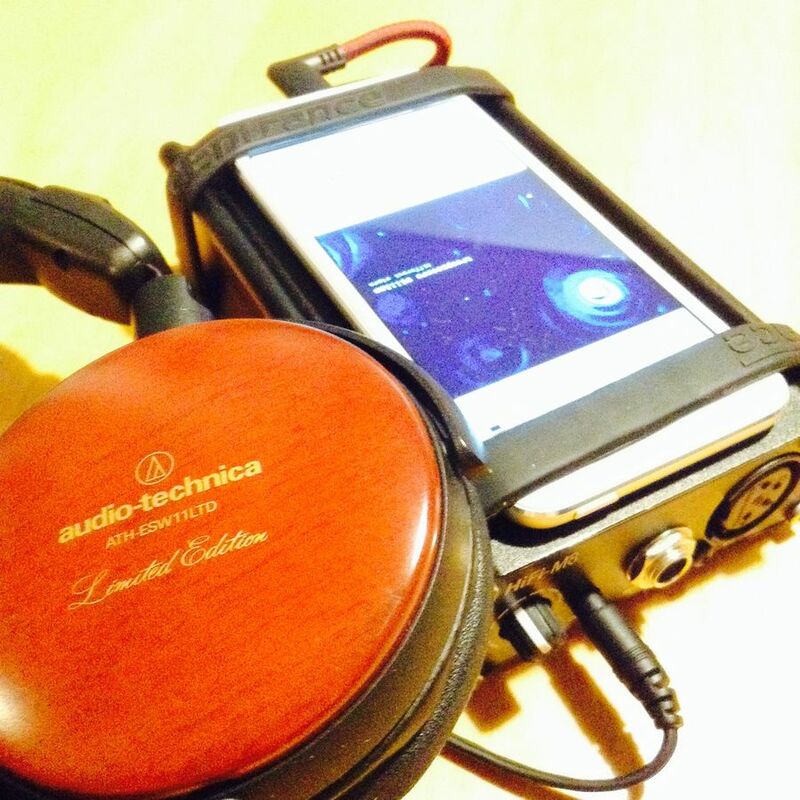 5G/6G ----flacplayer app----switching via Venturecraft 7N lightning cable---Hifi-M8---DITA,The Truth in ears. Norah Jones -Come away with me (everyones familiar test track). 6G. Clear, clean bass, nice highs, more background detail. 6G. Punchy, clear, back ground detail. Bauhaus - Bela lugosis dead. The cardigans - Erase and rewind. 6G. Wow, wall of beautiful sound. The Jesus and Marychain - Munki/perfume. 6G. More punch and clarity. 5G. Rough and ready, dull blows. 6G. Brutal tsunami of rock music, clear and clarity. Nick Cave and the Bad Seeds - Henry Lee. The Velvet Underground. - Sunday Morning. 6G. Sparkly, good vocals and music balance. Touch from headphone jack out. ATH-ESW11 (Last night, my ears were getting a bit foggy at that stage from too much testing). The Verve - Bittersweet symphony. 5G. Boomy bass, slightly flabby. Lana Del Rey - Ultraviolence. Lana Del Rey - Shades of cool. 5G. Slightly distorted at times. 6G. Wall of sound, crisp, clear, dramatic. After coffee and breakfast testing. I choose to use the same songs as my original tests. 5G. Full, a bit harsh in the highs, nice rounded bass. 6G. Music and vocals at the same level, smoother. 5G. Good, seems to strain at times compared with 6G. 6G. Great separation, clear across the board, (srry)-3D-ish. 5G. Gets harsh at times. 6G. Smooth, 3D, good separation. 5G. Woolly, deep bass, veiled. 6G. Clear across the spectrum, sparkly highs. 5G. Vocals too forward, grainy..
6G. Clear, great performance, highs a bit sharp. 6G. smooth, laid back, cool. 6G. smooth, beautiful, tonally balanced, highs a bit extended at times. 5G. gets a bit harsh during the busy chorus. 5G. Gets a bit harsh in the highs. *It is a harsh song but 6G does it better. how it seems more effortless at times whilst the 5G is straining at times. I am listening critically which may be different for the casual listener, but as i listen whilst I type the 6G is easier on my ears. No doubt Apple is paying attention to the boutique DAP market and seeks to improve their product and I look forward to comparisons with the likes of Fiio, AK and ibasso Daps. I am very happy and satisfied with my purchase. I seems Apple have improved upon the 5G (which I found to be an improvement on the 4G Touch). I tried a 24/96 track using Flacplayer and it still outputs at 16/48 (for testings sake). NOTE: 99% of the music I have on the Touch is 16/41 or 16/44. from Apple Stores makes me wonder. My listening notes, whilst using terminology that is simplistic, non technical and purely subjective hopefully paints a clear enough picture of what I perceived and hopefully that is accurate and not due to new toy bias. Next up I will do some tests with the Centrance Mini-M8, and also headphone out using the DITA-The truth.... and then call it quits. Tested the 5G vs the 6G with Centrance mini-m8. The mini-m8 doesn't have as much detail or power as the Hifi-m8 but i basically ended up with similar results to the earlier tests. 5G is a bit warmer, a bit 'duller' sounding, vocals can be too forward. 6G is crisper, more highs, back ground instruments and melody more audible, vocals and music volume more evenly matched. I had a thought that as I was using Flacplayer app to play my music that my result might be skewed for some reason. So headphone out using the Apple stock music player. *Music loaded is standard Apple size. 5G. Vocals forward, a bit overwhelming. 6G. Bold, forward, clear, effortless. Current 93 - all the pretty horses. 5G. Nice, a little dark, vocals too forward. 6G. Smooth, nice micro detail, clear. Donna Summer - Last dance. 5G. Theres a certain dullness overall to the 5G I just can place. 6G. Great dynamics, great instrument separation, had me dancing in my seat. nice snare drums. The Jesus and Mary Chain - Sometimes always. 5G. A bit murky in the lows. less extreme noticeable differences using the stock player rather than Flacplayer app and larger files. Differences are till there, and conform to earlier findings and I still would think the 5G would be more fatiguing overall. The differences are incremental and minor perhaps for some, but for dedicated and also long term listening sessions i do think they would be positive changes both for the serious and casual listener.